These 10 athletes with Minnesota ties could at least provide Brady with some inspiration — albeit with some cautionary tales to follow as well. Tom Brady turned 40 today. I have no idea if he’ll still be able to perform at a high level now that he’s hit that magical age, but generally speaking that’s an age where athletes can start to drop off in a hurry. That said, these 10 athletes with Minnesota ties could at least provide Brady with some inspiration — albeit with some cautionary tales to follow as well. Brett Favre: He turned 40 during his awesome 2009 season. We won’t talk about his final pass of 2009 or what happened in 2010. Jim Thome: Cranked a lot of dingers in 2010 for the Twins, a season in which he turned 40. He wasn’t too shabby in 2011, either. Taj McWilliams-Franklin: The ageless wonder for the Lynx helped Minnesota to its first WNBA title in 2011 after turning 40. Jan Stenerud: He was probably the lone bright spot for the 3-13, Les Steckel-coached 1984 Vikings. At age 42, he converted 87 percent of his field goals and made the Pro Bowl. 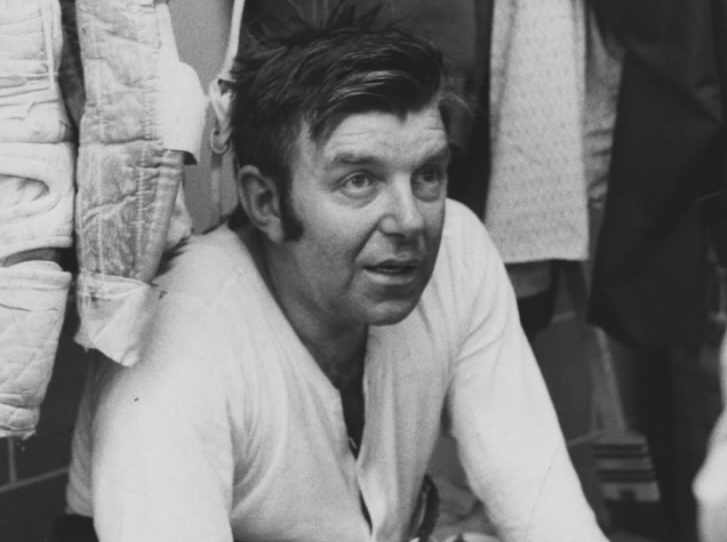 Gump Worsley: His final game as a North Stars goalie came when he was just a couple months away from his 45th birthday. He turned in a 2.12 goals against average in his age 42 season. (Pictured above, by the way). Terence Newman: The Vikings defensive back will turn 39 next month. That’s not 40, but he has to run a lot more than Brady. Bartolo Colon: His first three starts for the Twins have been a mixed bag at age 44, but don’t forget he won 62 games the past four seasons between the ages of 40 and 43. Kevin Garnett: He was still one of the Wolves’ best defensive players in his final season, 2015-16, just shy of his 40th birthday, and he could have helped last year’s team if things had worked out differently. Don’t try to disagree with me on this. I will fight you. Terry Mulholland: At age 41, he saved the Twins’ season in 2004 with eight great innings in a huge mid-August win in Cleveland. Matt Cullen: The 40-year-old former St. Cloud State standout won another Stanley Cup with the Penguins last year.